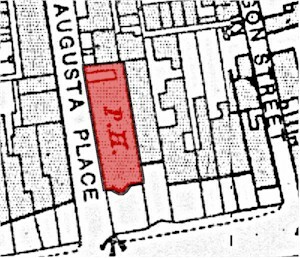 The building was demolished in 1948. 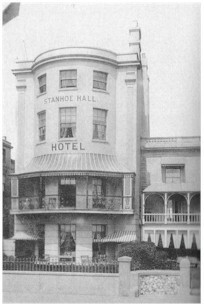 A new Stanhoe hotel had been planed and construction started on the site. Sadly funding ran out and it was never completed. 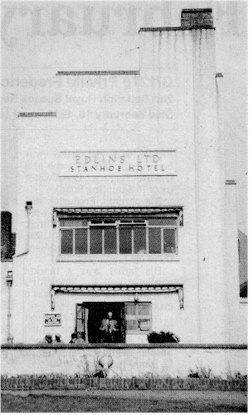 What did remain, set far back from the seafront became a pub but still carried the Stanhoe Hotel name, surmounted by the Edlin's Ltd title. 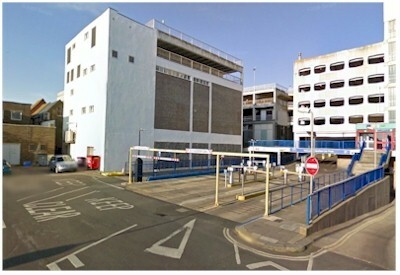 The unused space in front became a car park. Many people 'of an age', still remember leaving the Kings Arms and going down the common passageway to the bar. The building survived until 1970 when it and many others were demolished to make way for the bowling alley. We have been informed that Barley wine and Merrydown cider was available on draught here in PINTS. Due to the high alcoholic content of these original brews the law was changed to prevent sales in large pint volumes. 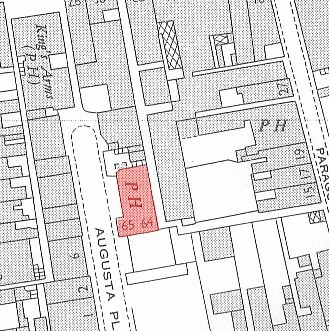 Other pubs affected was the Thieves Kitchen and the Wine Lodge.